We welcome any enquiries about Holy Name Primary School. Please make an appointment to visit us – our Principal, Mrs Caroline Galea can provide a personal tour and answer any questions that are important to you regarding your child’s primary education. As a parent, an experienced educator and a Principal, Caroline brings a wealth of knowledge to our school. A tour of Holy Name Primary School will allow you to see engaged learning, partnerships between students and teachers as well as a school community in action. To be eligible for enrolment in Prep, a child must have had his/her fifth birthday by April 30th in the year in which she/he commences school. 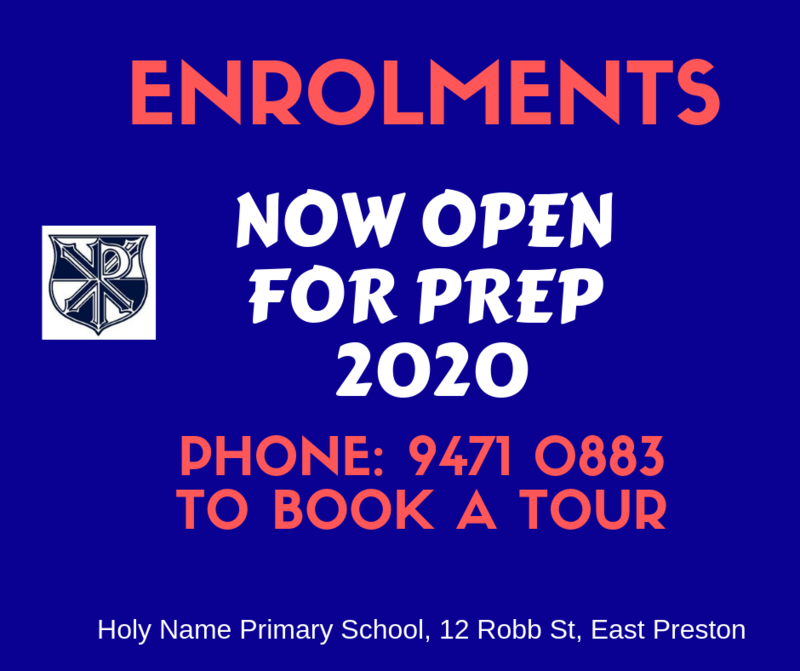 Please call our office on 9471 0883 to arrange a personal tour with our principal, Mrs Caroline Galea.